Car Services - Vehicle Inspection & Istimara! 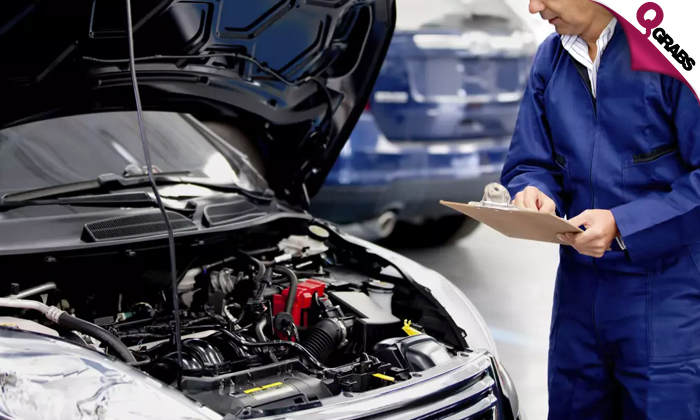 In case of the vehicle failing in the Istimara test, Auto One Garage can repair the vehicle for additional charges charged separately and take it for reinspection. The repairs will commence after your approval once you receive the estimate copy by email or at the workshop. An additional fee of QR400 will be charged for areas outside doha city limits: Al Khor, Shahaniya, Mesaieed, Dukhan, Al Shamal & other. Enjoy the convenience of getting your vehicle inspection & Istimara renewal done from home. Auto One Garage staff will drive your vehicle from your home / office and take it for the inspection. On the successful completion of the test, the Istimara shall be renewed and handed over along with the vehicle at your home / office. Option 2: In case of luxury cars, Auto One will send a breakdown vehicle to pick up your vehicle and take it for inspection. This minimizes the risk of an accident on the way as the vehicle will not be driven on the road and will be mounted on a pickup. 50% off stress free renewals and breakdown issues! Auto One Garage is one of Qatar’s leading auto workshop in Qatar. They provide complete auto repairs, service for your vehicles. They are located in Street 30, Gate no. 71 in the Industrial area.